NEW YORK (Reuters) - Federal prosecutors are developing a criminal fraud case hinged on whether General Motors made misleading statements about a deadly ignition switch flaw, and are examining activity dating back a decade, before GM's 2009 bankruptcy, according to multiple sources familiar with the investigation. At the same time, at least a dozen states are investigating the automaker. Two state officials said that effort is likely to focus on whether GM broke consumer protection laws. Both federal and state investigations into the switch, which is linked to at least 13 deaths and 54 crashes, are at early stages, and it is possible that cases may not be brought. Sources said federal criminal prosecutors are working on a set of mail and wire fraud charges, similar to the criminal case Toyota Motor Corp settled earlier this year over misleading statements it made to American consumers and regulators about two different problems that caused cars to accelerate even as drivers tried to slow down. Delphi Automotive, the maker of the GM switch, is not a target of criminal charges, the people said, because it did not make substantial public statements about the safety of the vehicles or the part. That would make it difficult to build a case under the main federal fraud laws, the wire and mail fraud statutes. Greg Martin, a spokesman for GM, said his company continued to work with investigators, declining to comment further, and a spokeswoman for Delphi said the company had been told it was not a target of investigations and was working cooperatively with all government officials. A spokesman for Manhattan U.S. Attorney Preet Bharara, who is leading the criminal probe, declined to comment. Prosecutors are not limiting their inquiries to events that occurred after GM emerged from bankruptcy in 2009, sources said. Legal experts said bankruptcy does not release GM from criminal liability in a fraud case. It is not clear whether prosecutors will bring cases against any individuals. GM has said 15 people were forced out for their roles in the automaker' s failure to act for more than a decade on signs of the deadly defective switch, which can be jarred out of the "run" position and deactivate power steering, power brakes and air bags. GM Chief Executive Mary Barra has said she was not aware of the scope of the problem until January of this year. 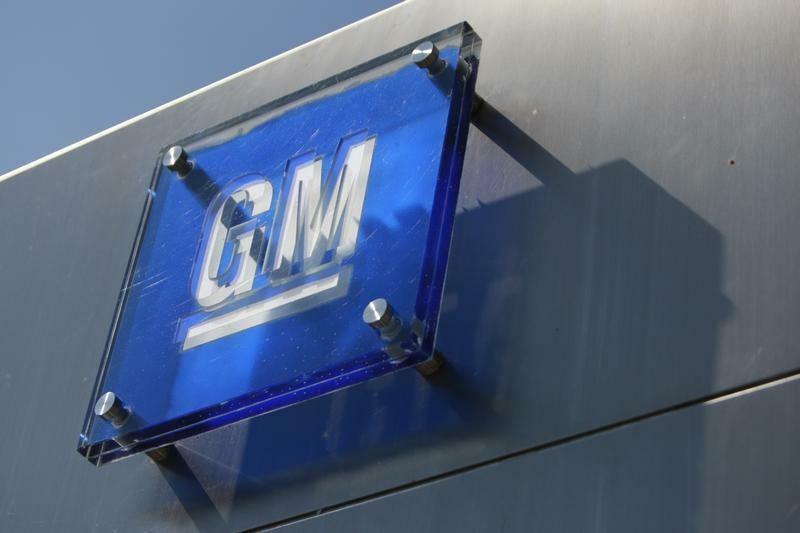 The National Highway Traffic Safety Administration already fined GM $35 million in May for its delayed response to the defective part, and accused company officials of concealing the problem. As they did in their case against Toyota, U.S. Attorney Bharara's team will try to show that people inside GM knew of the deadly defect even while they were telling regulators the problem was contained and issuing directions to the public about how to handle a car that had lost power. The statement of facts in the Toyota case offers a potential template for the GM case, and one legal expert said GM could end up paying more than Toyota, which settled for $1.2 billion. There are no caps on the penalties that could be imposed on entities guilty of mail fraud or wire fraud. "If the General Motors people think - especially with all the publicity, and the congressional hearings, and all of the public scrutiny that has been brought to bear on this - that $1.2 billion is a number that's going to resolve all of this, they may well be mistaken," said C. Evan Stewart, a defense lawyer at Cohen & Gresser and former special assistant district attorney for Manhattan. Prosecutors said Toyota internally acknowledged a "material" problem in which some vehicles' pedals could get trapped under floor mats or stuck in a partially depressed position, but that the company downplayed the problem to NHTSA. Lawyer Anton Valukas, who was hired by GM to investigate the switch matter, details what he called a “history of failures” to address the problem and inform the public of dangers. His report included numerous examples like a 2005 notice to dealers, directing them to tell customers to remove unessential items from their key chains. After internal discussions, GM eliminated the word "stall" from the notice because of concerns that the word could worry customers about vehicle safety, the report said. Two years later, according to a filing this year in a class action suit against GM, the company told NHTSA it saw "no specific problem pattern" in crashes of cars it already knew to have an ignition switch problem, where airbags failed to open. Furthermore, during GM's bankruptcy proceedings, the company was required to file disclosures to the court about its potential liabilities and known creditors. It did not include any of the people with active legal claims against the company based on ignition switch problems in its list, according to the court filing. The states' investigation is likely to focus on whether state consumer fraud laws have been violated, targeting unfair and deceptive acts and practices, said William Brauch, director of the consumer protection division at the Iowa Department of Justice. "Multi-state investigations of this kind typically focus on consumer protection related issues," added Whitney Ray, a spokesman for Florida Attorney General Pam Bondi. Arkansas, Connecticut, Florida, Illinois, Indiana, Iowa, Kansas, Kentucky, Louisiana, Nevada, New York, and South Carolina are all probing GM, representatives said. Brauch said the states have conducted similar investigations in the cases of Firestone tires, Ford SUV rollovers and unintended acceleration in Toyota vehicles. Brauch, who is a special assistant attorney general in Iowa, said the AGs might probe whether the manufacturer misrepresented a facet of a product in its advertising, or failed to disclose a known defect. "Our laws allow us to take action in connection with omissions of material fact," Brauch said. "Simply putting a defective product in the stream of commerce can, under certain circumstances, constitute unfairness in the consumer fraud laws." He said he did not believe the states had yet sent GM a demand for information, which is similar to a civil subpoena. Last year, a group of 29 states struck a $29 million settlement with Toyota. The states accused Toyota of engaging in unfair and deceptive practices when it didn't disclose known safety defects with accelerator pedals. "Toyota is probably a good model to look at in the context of what state attorneys general have done in the past in connection with alleged problems in new vehicles," said Brauch. "Is it directly parallel? We don't know yet."